a couple of fridays ago, josh & i decided to do a date night ... and walk down the street to crosby's kitchen, located right on southport. even though crosby's is approximately 3 seconds away from my house, i've only been once before. and my last visit was for brunch. so this was a completely different menu / experience. we sat outside, sipped wine & ate some really great food. 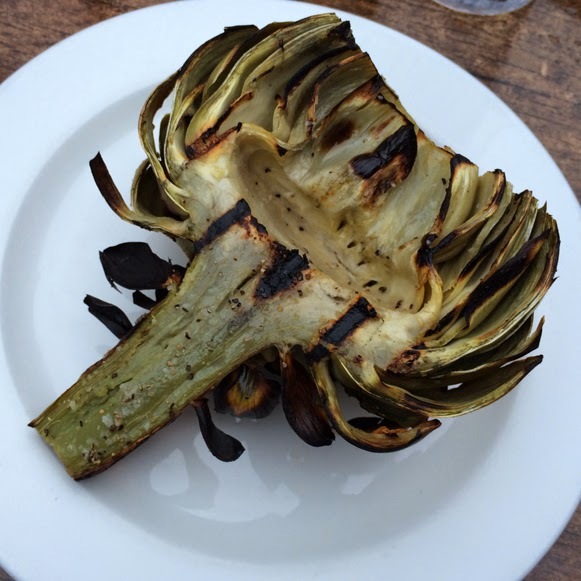 love me some artichokes. lil salt, lil peppah, lil evooooo. you're all set. just remember to ask for no butter. lightly blanched sprouts tossed in a lemon vinaigrette w/ dried blueberries & almonds. added avocado & tomatoes. i know i've said this before, but is this a salad or is this a salad?! first, the colors are bright & vibrant, so you know all the veggies are super fresh. second, dried blueberries are now a favorite of mine for salads ... even though it's summer & i'm really into fresh fruit on salad, dried is also great and will be perfect in winter! can you tell i'm excited about the dried blues? and lastly, it was just overall delicious. and huge. i didn't finish it all & i wasn't even hungry after! basically, crosby's kitchen is a major win. 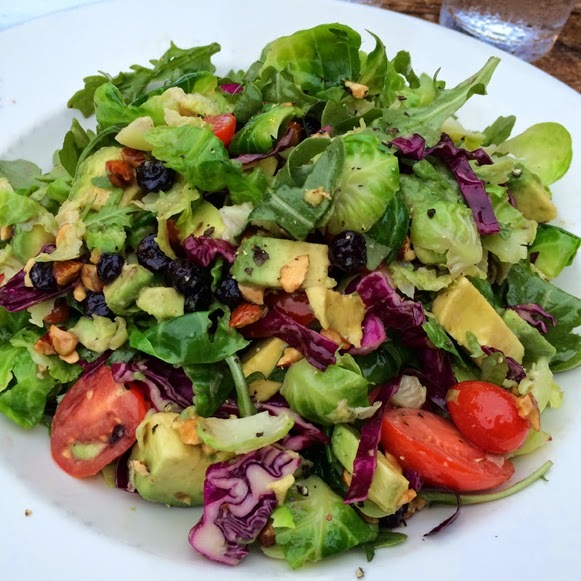 it's especially great for a outdoor summer dining ... and with a salad that good, you can't go wrong.